Introducing the Apollo Seiko solder material lineup! 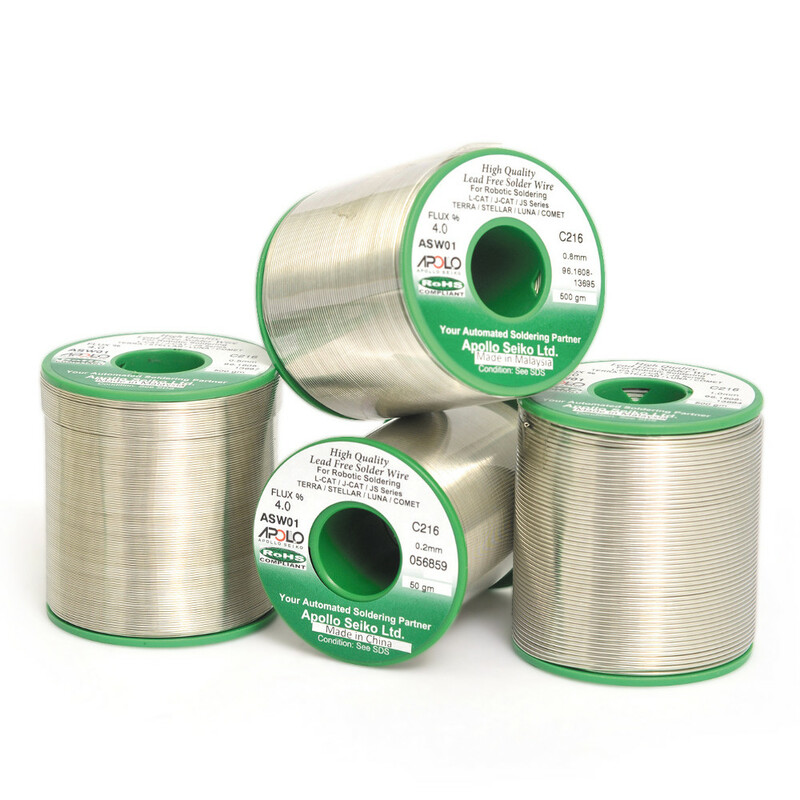 Cored-wire, bar and paste options to meet all your soldering needs. Our products are produced using only the highest quality of solder which in turn provides for superior wettability and less spattering of lead-free materials.